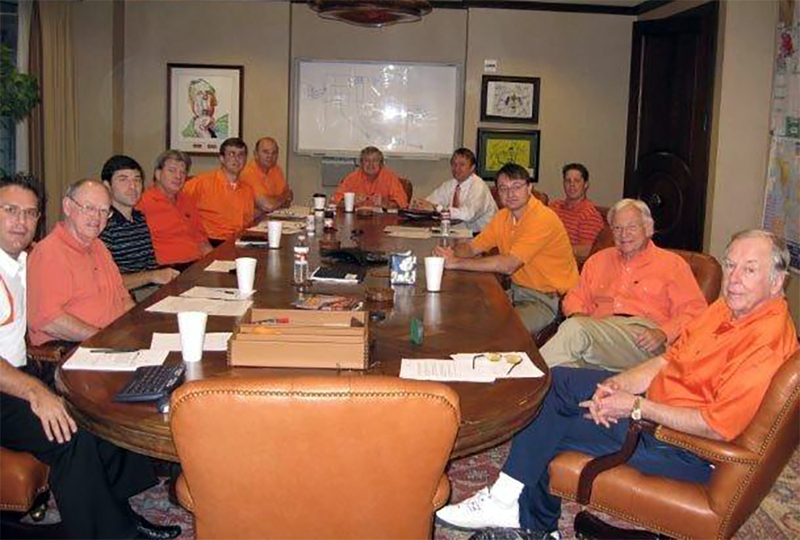 During the seven decades of my career, I have had a great track record of building outstanding teams. I have always felt it important to concentrate on our goals, not the size of our organization. To me, measuring profits has always been a better yardstick than the size of our budgets. There is little point in developing a $10,000 accounting system to track 10 cent pencils. I credit much of my success to how well these teams performed. While knowing your team and supporting them in times good and bad are critical, defining a culture and setting expectations are equally essential. Communication is the key — there should be no surprises. If I’m in the loop, I’m on your team. 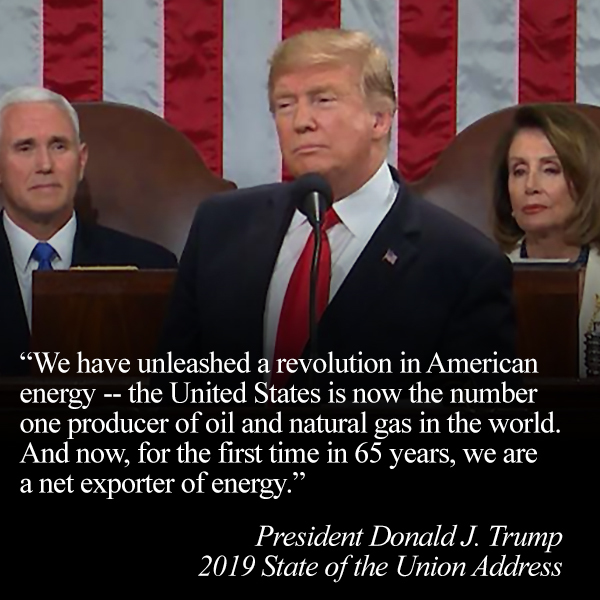 Great to hear an update on the U.S. energy picture in tonight’s State of the Union address. Great progress in recent years. Everything American. But let’s stay vigilant. OPEC talks with Russia are concerning. I’m sure Secretary Perry as the designated survivor is focused on that. 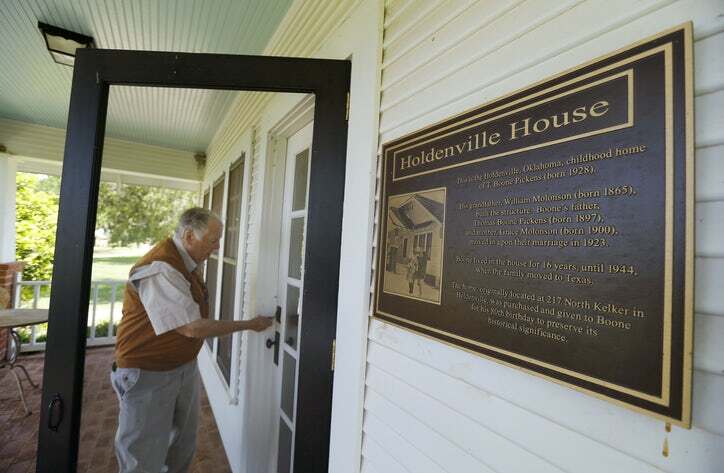 I grew up in Holdenville, Oklahoma, where they liked to say “the pavement ends, the West begins, and the Rock Island crosses the Frisco.” Over the years, the house where I was raised has been relocated from Holdenville to my Mesa Vista Ranch in West Texas and now mostly recently to Stillwater, Oklahoma where I plan to be buried. Supporting organizations that benefit those who have put their lives on the line is important to me. 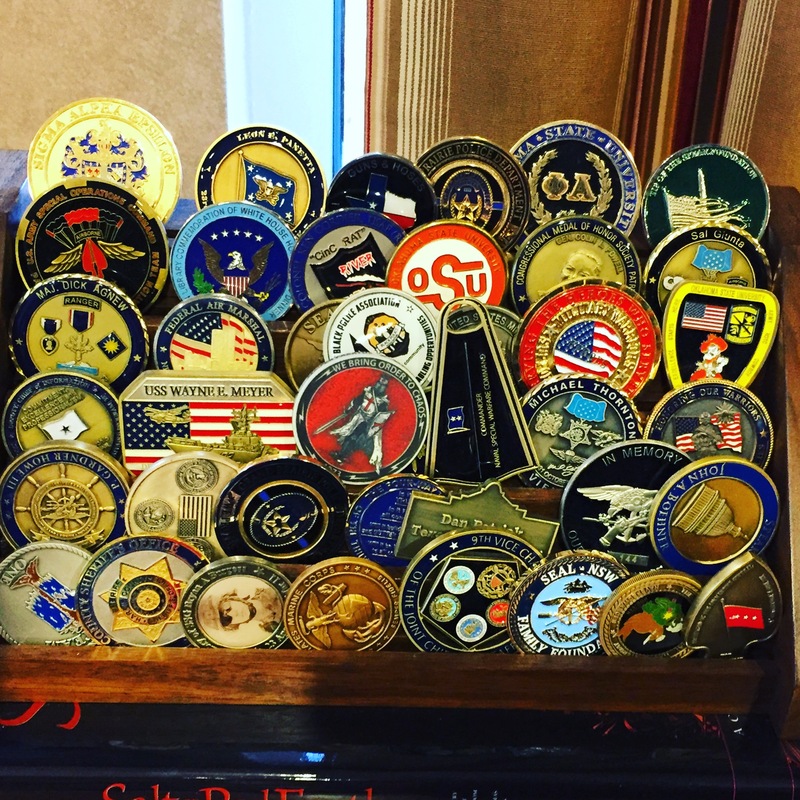 These challenge coins sit on my desk as a constant reminder of the sacrifice others have made for our country. Thank you to everyone who has served. A reporter once asked me if I considered myself a Texan or an Oklahoman. 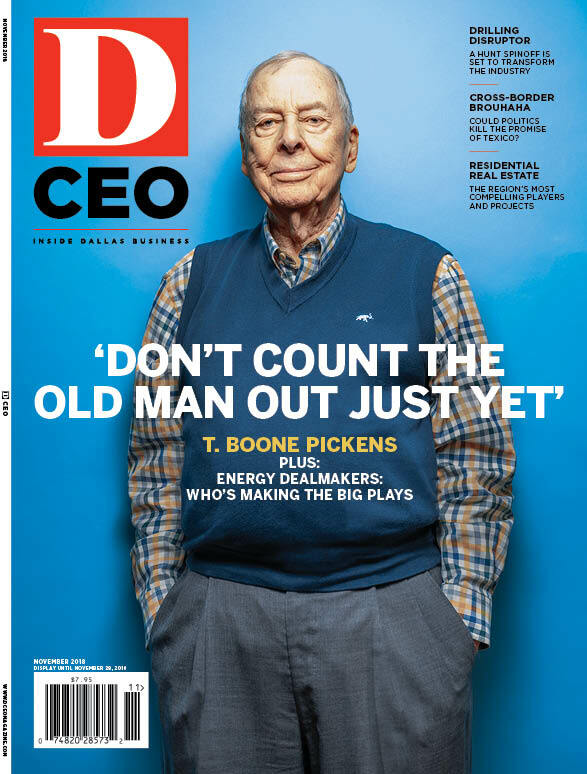 I said: “Both.” But at D CEO’s 2018 Oil & Gas Dealmakers Awards, I was a Texan. 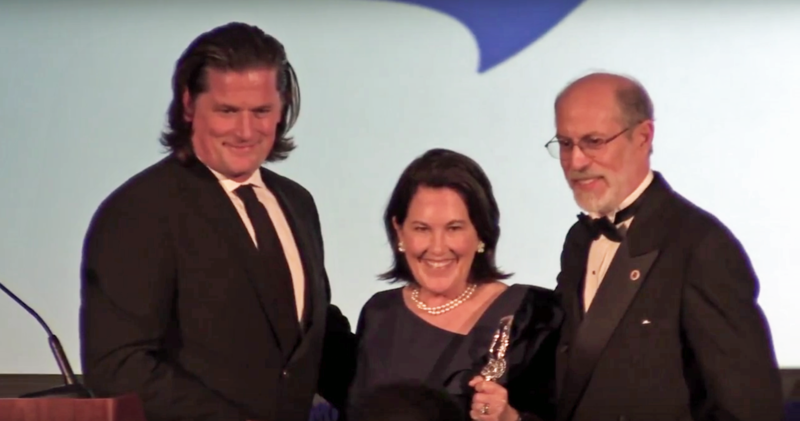 The Edward W. “Rusty” Rose Award, presented by the Great Investors’ Best Ideas Foundation (GIBI) in Dallas, is a lifetime award presented to an individual who has done the most to bring truth and transparency to public securities markets. 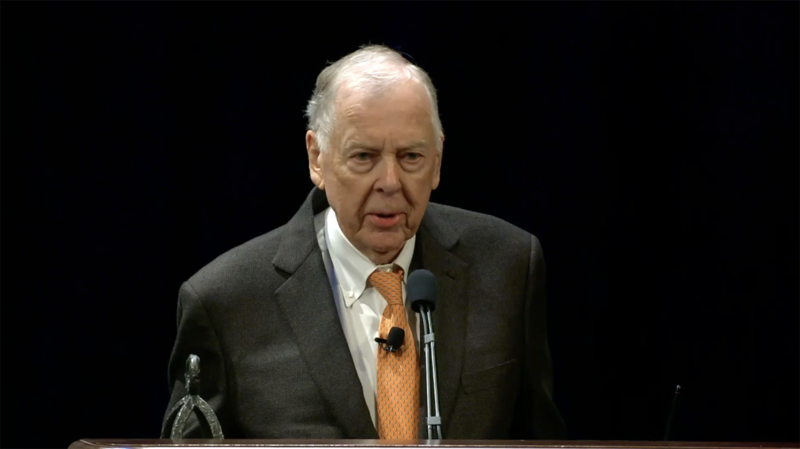 Rusty Rose was a straight-talker and legendary investor. I knew him well, as he was one of the first to visit with me when I first moved to Dallas. This award is meant to carry on his legacy and memory, and his tenacity and passion in this arena. I am greatly honored to be its recipient this year. I had a great time hosting Abigail Ogle at my Mesa Vista Ranch. 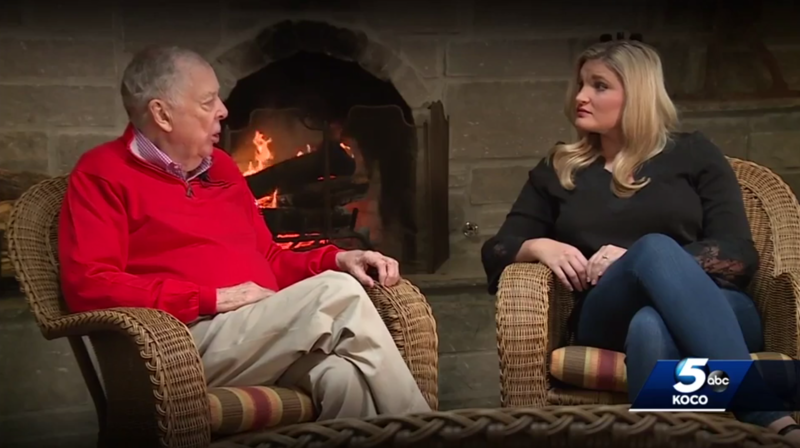 I’m always eager to talk Booneisms with cameras rolling. Thanks for a great piece. What If Saudi Arabia Slows Their Oil Spigot? Here’s A Two-Fold Solution For The U.S. Tapping into and selling off the SPR should be action item one to keep blood flowing should the Saudis pinch the vein. In the meantime, we should be bolstering that independence from OPEC oil by improving our own energy infrastructure. State government agencies across the country are finalizing plans to spend their share of a $2.7 billion settlement in the wake of the national Volkswagen emissions scandal, negotiated and settled by the Environmental Protection Agency under the Obama administration.